​AS RECIPE IS NOT YET READY. 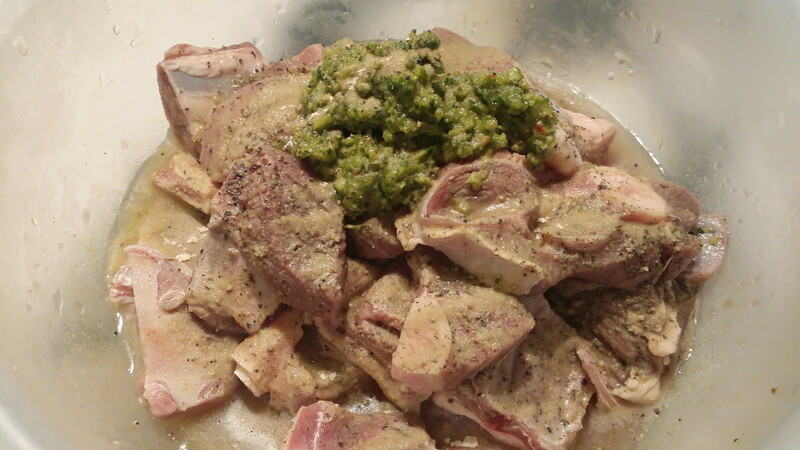 Although goat meat is not typically found in American fare, it is quite a common choice of meat in Caribbean cuisine. It's not a cut of meat you usually find at your local chain grocery store. You'll usually find it in ethnic/multicultural grocery stores, like Spanish or African. It doesn't taste like chicken and it doesn't taste quite like beef but it's similar. When cooked in the right recipe, it is delicious! 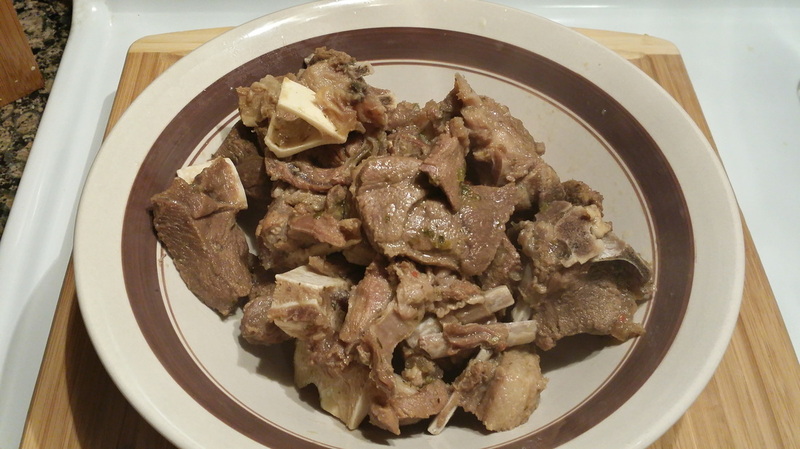 Jamaican curry goat is one of my favorite goat dishes. So is Tassot. Tassot is a Haitian-influenced dish. 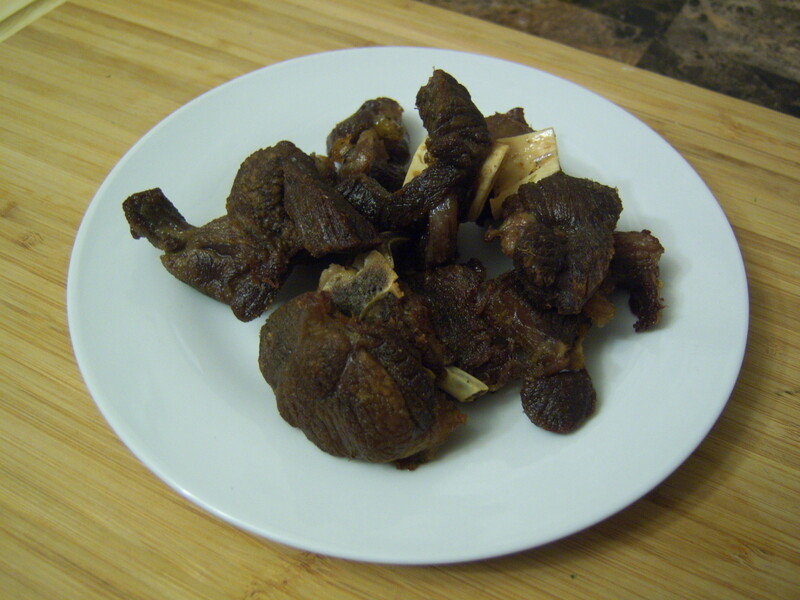 Think of griot, except for goat meat. I really like Tassot and you can usually find it on the menu of any authentic Haitian restaurant. Unfortunately, I no longer live in Florida where Haitian restaurants are just a hop and a skip away. So if I'm in the mood for some Tassot, I make it at home. It's wonderfully paired with "Pikliz" and some "Bunun Peze" or with a good rice and sauce. I hope you give this one a try. If by any chance you have trouble locating goat meat, substitue it for beef and follow the same recipe. We call it "Tassot Bef". It's just as delicious. 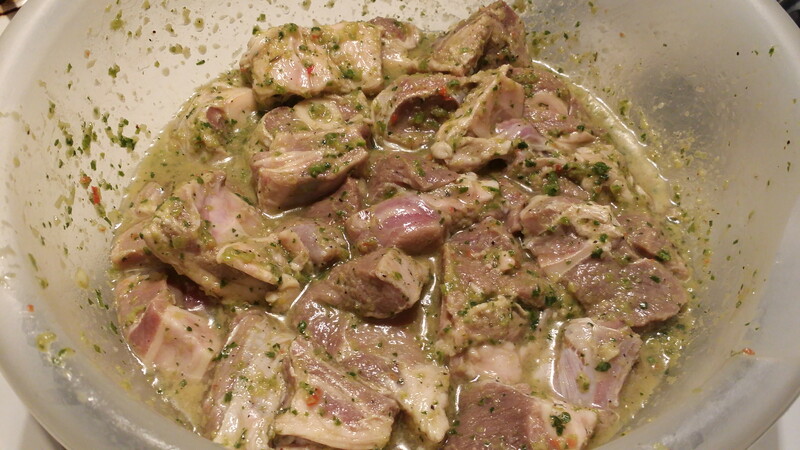 If you use pork, then it becomes "Griot", a wonderful traditional recipe that all Haitians love. 1. It's important to clean this particular meat before you prepare it. As previously mentioned, goat tends to have a strong, distinctive odor. Therefore, we want to mellow it out as much as possible. 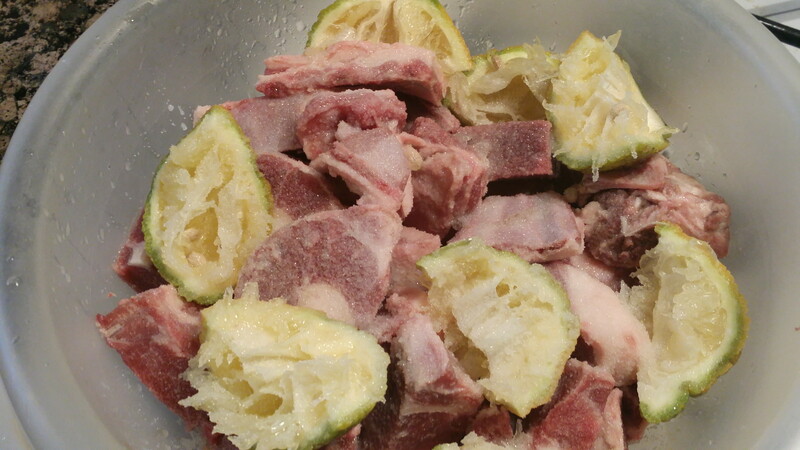 ​In a bowl with the goat meat, squeeze the juices of 2 sour oranges and rub it onto the meat. If you don't have fresh sour oranges, you can easily substitute it for the concentrated bottled version. Limes work just as good, fresh or bottled. We just need something sour and citric. 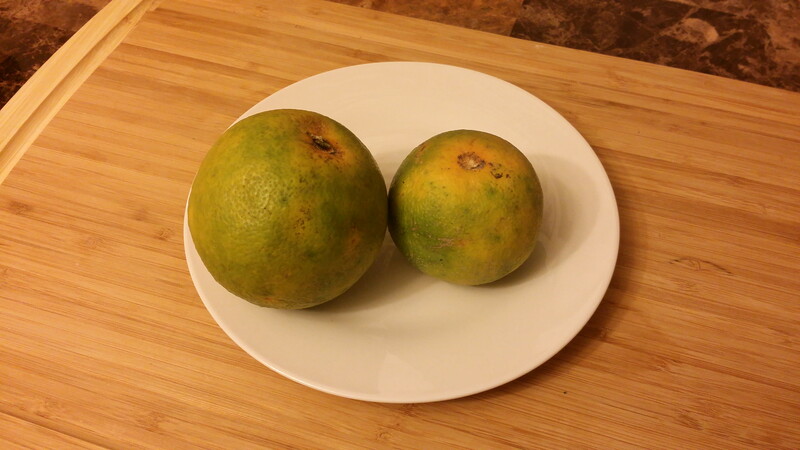 If you're not familiar with sour oranges, they're basically unripened oranges. Growing up in Florida, they were everywhere. My parents have an orange tree in their backyard so that's where I got these. Cut them in quarters and squeeze all it's juices on the goat. Then, throw in the peels into the bowl as well. 2. Generously pour a good amount of salt onto the meat and pour just enough water to cover all the pieces. Let the salt and citric acid do it's work anywhere from 30 minutes to an hour at room temperature. This sour orange and salt water combination is a method my family taught me to clean all our meats. Sometimes we also use vinegar. 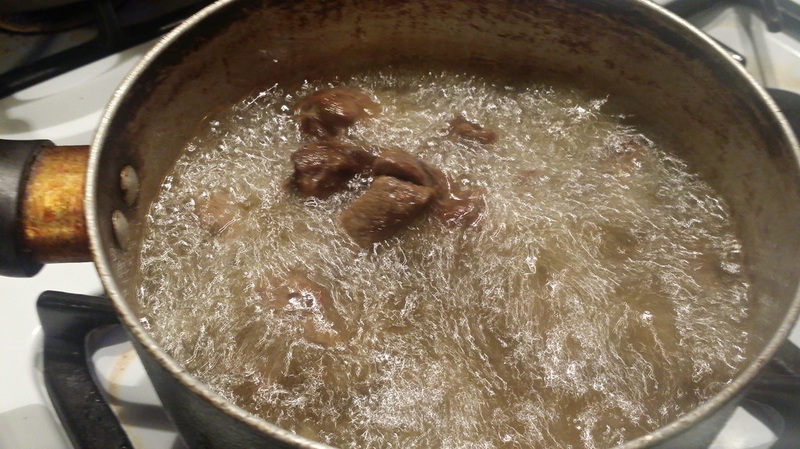 In this case, I also added about 1/4 cup of vinegar to the water and let the meat soak in it close to an hour. If you don't have any sour oranges or limes, then definitely use a vinegar salt water combo for the meat to soak in by increasing it to 1/2 cup of vinegar. 4. 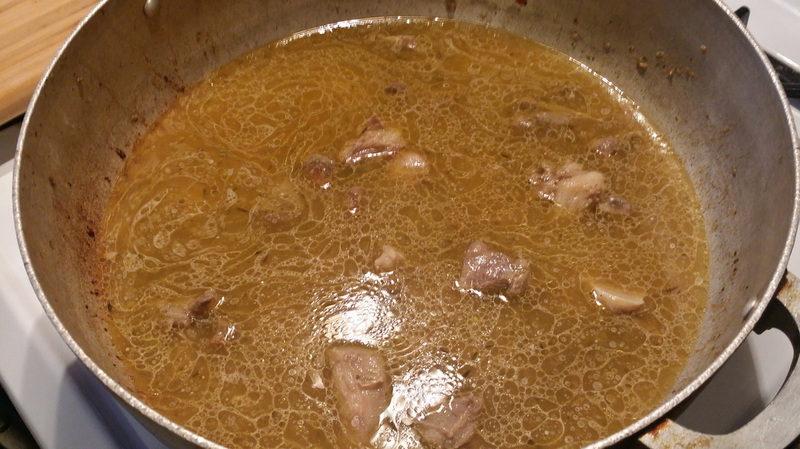 In the bowl with the goat meat, put in 4 tbsp of Epice, 1/4 cup of Goya Sour Orange (or fresh sour orange), 1/4 cup of Goya seasoning liquid, 2 tsp of Adobo with Cumin, black pepper, and 1 tbsp of piman sauce (optional). 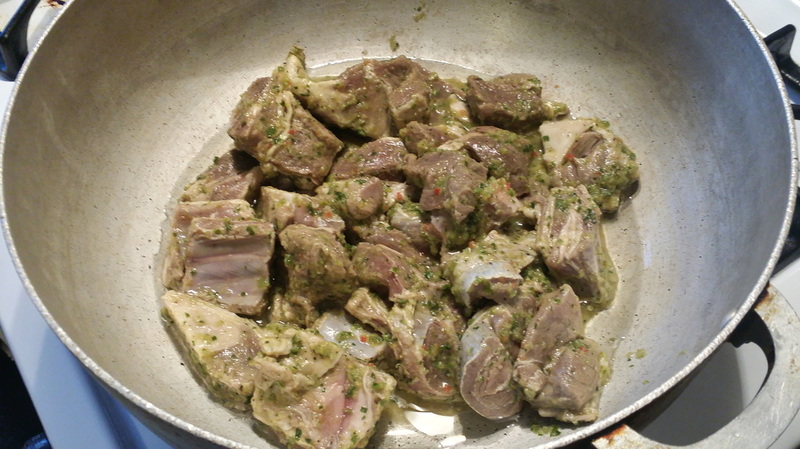 Mix the contents well to incorporate within the goat meat. Marinate in the refrigerator for a couple hours or overnight. The longer, the better. I marinated this overnight. 5. In a large pot, add about 2 tbsp. of vegetable oil and place marinated meat on top. Cover the pot and set heat to high and allow it to come to a boil. The meat will render a lot of it's juices. Boil the meat for about 10 minutes, covered. 6. Uncover the pot and let the meat continue to boil on high heat until all the liquid dries off. The oil will remain and saute the meat for about 3 - 5 min to develop some color. Then add enough water to cover the top of the goat. Cover the pot with its lid and allow it to boil. 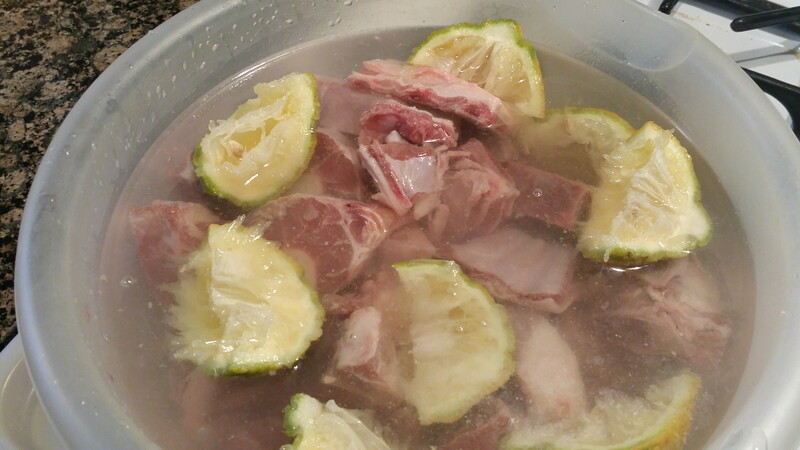 Boil the meat for about an hour or until tender. Depending on the thickness of the chunks, the time can be a little less or a little more. Be sure to keep an eye on it periodically. If the water runs dry, add more water to the pot for it to continue to boil. 7. 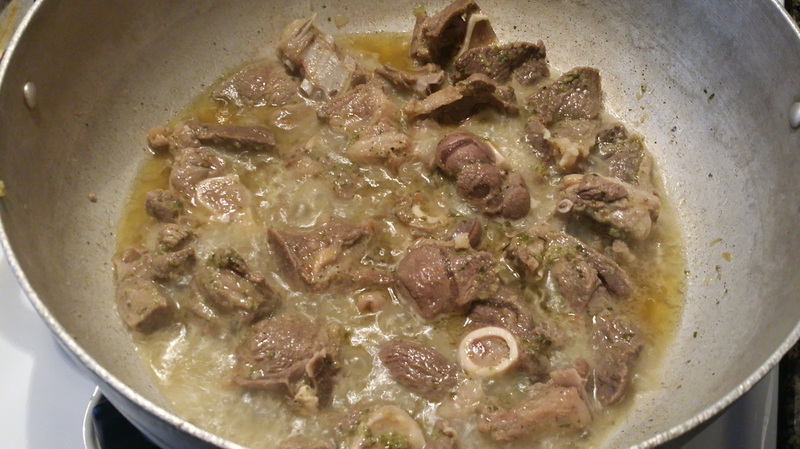 Once the goat is tender, remove it from the stock and set aside. If desired, the liquid left behind can be used to make a separate sauce or to make a flavorful rice. Just be sure to skim of the fat/oil off from the top. 8. In a medium size sauce pan, add about 2 cups of vegetable oil, or enough to level up to about 1 - 1 1/2 inches high and bring to a medium-high heat. Fry the goat meat in batches being sure not to overcrowd the pan for about 3 - 5 minutes, depending on the size of the pieces. 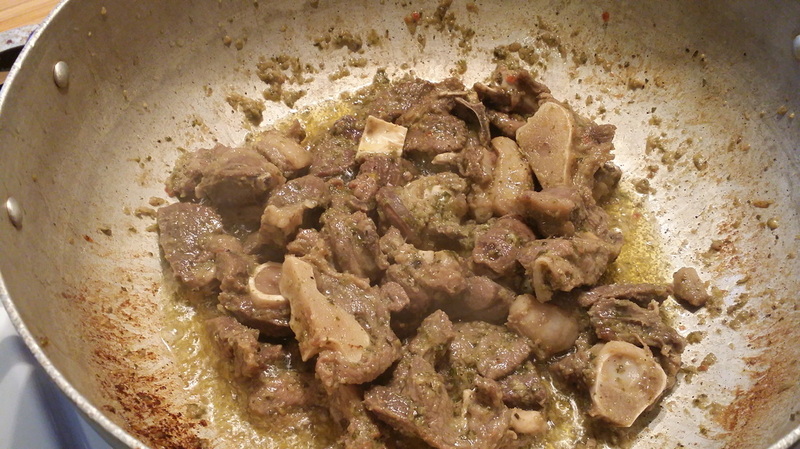 Remove goat meat from pan with a slotted spoon and place on a plate lined with paper towels to drain off any excess oil. ​9. Once it cools down to handle, enjoy it with pikliz, diri, bunun peze, or even alone! Have you had Tassot Cabrit before? How do you like this recipe?